You will earn 216 Points for purchasing this product. 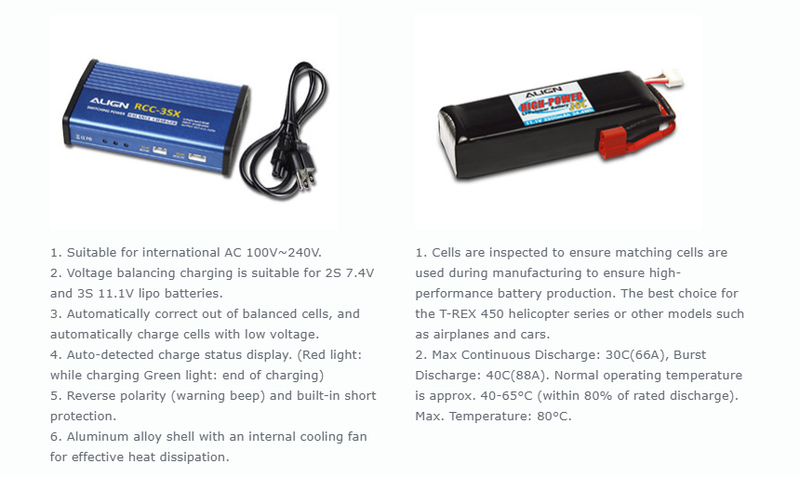 T-REX 450 has been the ideal choice for entry level R/C helicopters. 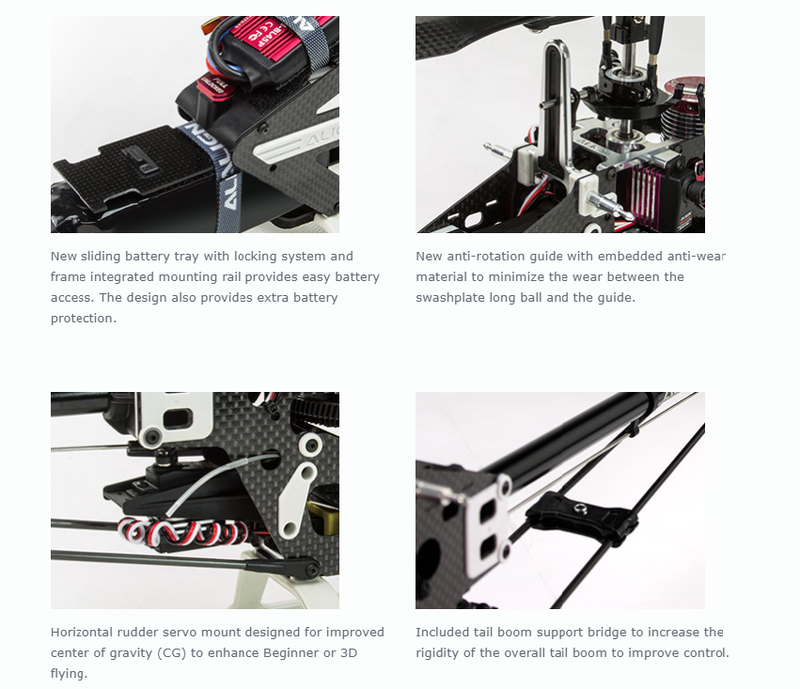 To cater to the beginner enthusiasts and solve the problem of assembly and adjustment, Align introduced T-REX 450LP ARTF (Almost Ready to Fly). Completed with Align A10 transmitter and newly released Mini GRS flybarless system, just easy to experience the fun fly enjoyment. 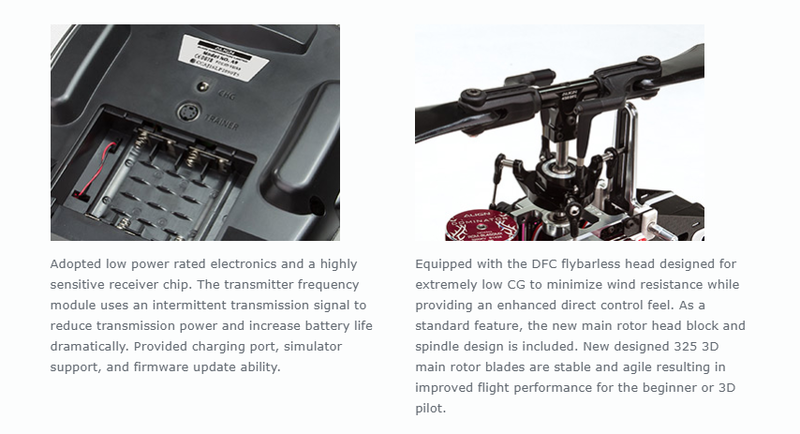 The helicopter utilizes DFC rotor, paired with Mini GRS flybarless system optimized for T-REX 450LP flight characteristics. 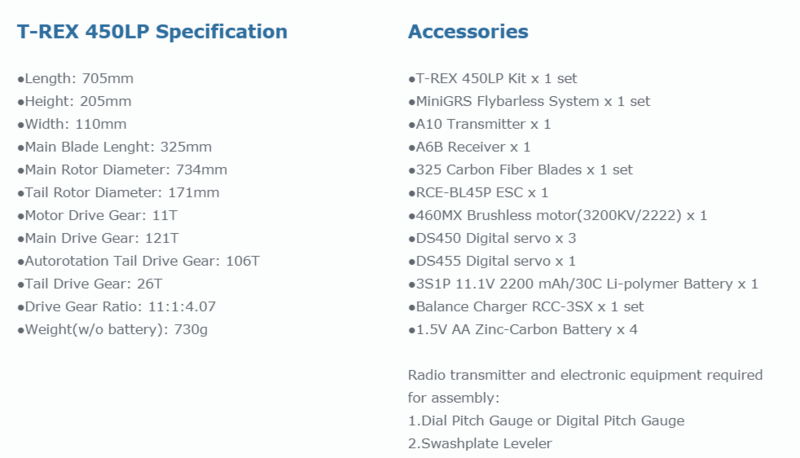 Without any adjustment or tuning, this combo will be provided optimal stability suitable for pilot of all levels. 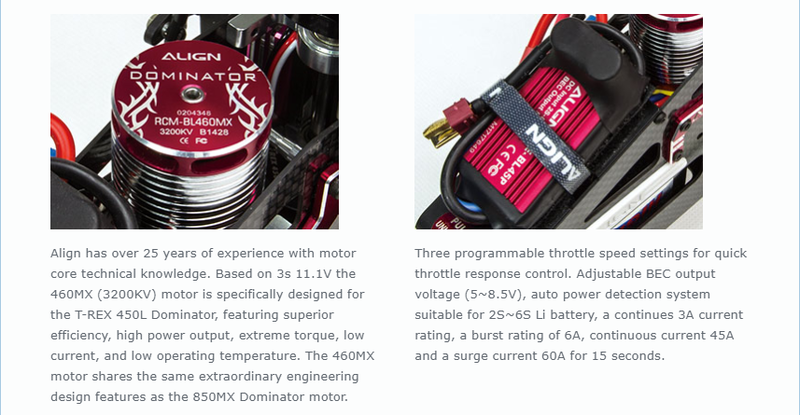 Equipped with newly digital high voltage servo DS450 and DS455, supports 8.4 high voltage to provide optimal speed and torque performance. 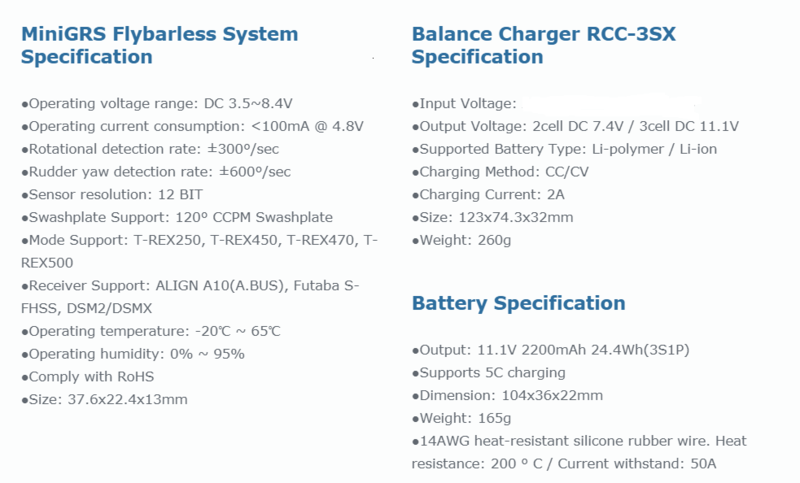 Paired with newly RCE-BL45P ESC, supports adjustable 5~8.4V BEC function to highly improve flight performance. 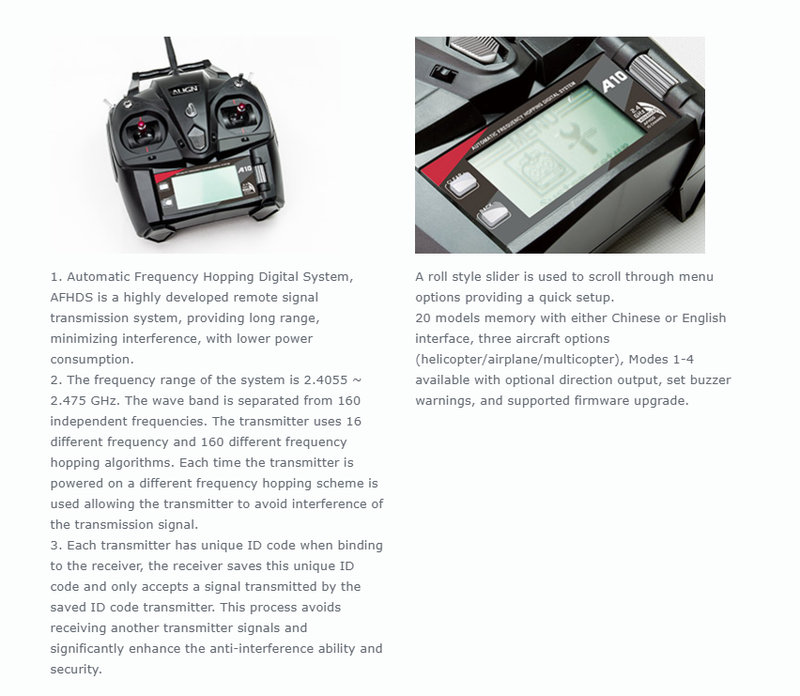 ALIGN A10 is AFHDS (Automatic Frequency Hopping Digital System) 2.4GHz transmitter provided with 10 channels. The stick and holder are designed based on ergonomic bringing much smoother control. 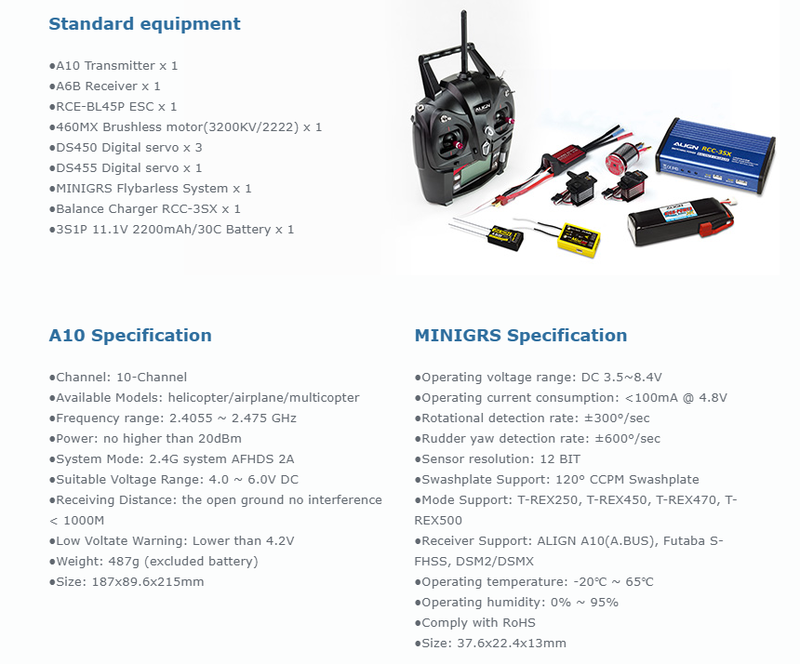 Completed function with the mode of helicopter / aircraft / multicopter. Logical and simple control interface, and easy to set up. 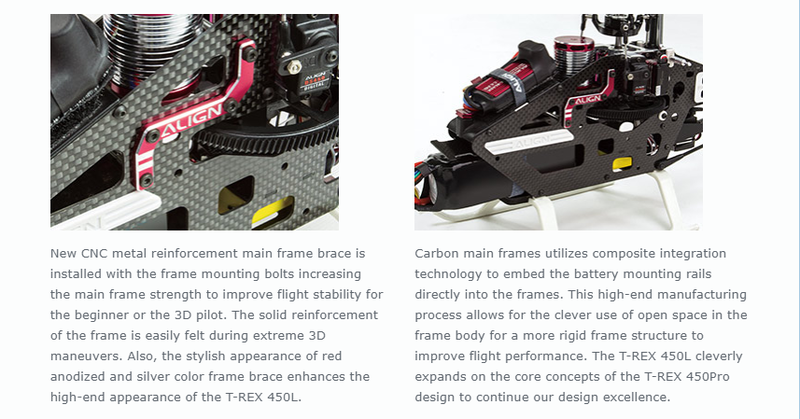 With the addition of the brand new A10 transmitter and Mini GRS, the T-REX 450LP ARTF pushes past the performance limitation of flybar helicopter, improving both stability and 3D performance, while maintaining a down to earth price level.